I'm in Canada and a Shorrock has been listed for sale. The vendor claims he had it installed on a LHD Mini. "The A.B.C. 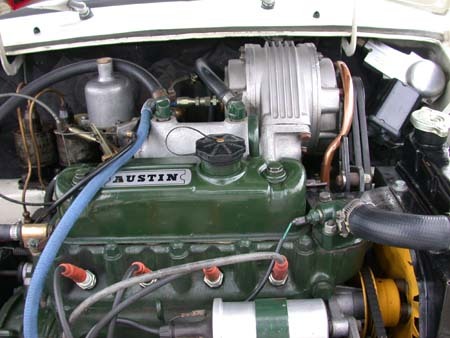 of Shorrock Supercharging" says that the kit won't work on a left-hand drive Mini and a visual examination of an installation on a RHD Mini confirms that it would foul both master cylinders. Has it ever been done with modifications? I can't see it being possible. Some LHD cars did not move both MCs so it may. I don't understand what you mean. Are there kits available to relocate the masters? And what do you mean by some LHD cars? Thanks. The later cars kept the brake MC and servo assy on the right of the car and only moved the clutch MC to the left. But this is on newer cars than I would expect a shorrock to be on. But that does not mean some brake kit was not used like for a dual control car. Interesting, I didn't know that. So there must have been a somewhat elaborate linkage from the pedal rack. I've never seen one in Canada like that. Did the Japanese versions do that ever for conversion to LHD? We have a bunch of them here. If so, I may be able to put together something to make this work. Edited by hhhh, 14 September 2018 - 05:53 PM. Thanks for the info. I think the clutch would have to be catered for similarly with a concentric shaft/tube to put its master on the right as well. nah just use a remote fluid holder like race car? dont know where the charger pulley actually sits as it is over 20 years since i saw one in a Mini. I think the blower is right where the clutch master piston travels so a remote reservoir wouldn't help. Its pulley is in line with the hood hinge. Some driving instructors in London in the 60's had dual controls that transferred the pedal action from the left to the right hand side.